With enhanced voice recognition, you can speak to SYNC 3 with simple real-world voice commands and the system responds to your voice. Controlling your phone and more is as easy as saying "call office." LINCOLN AND WAZE. 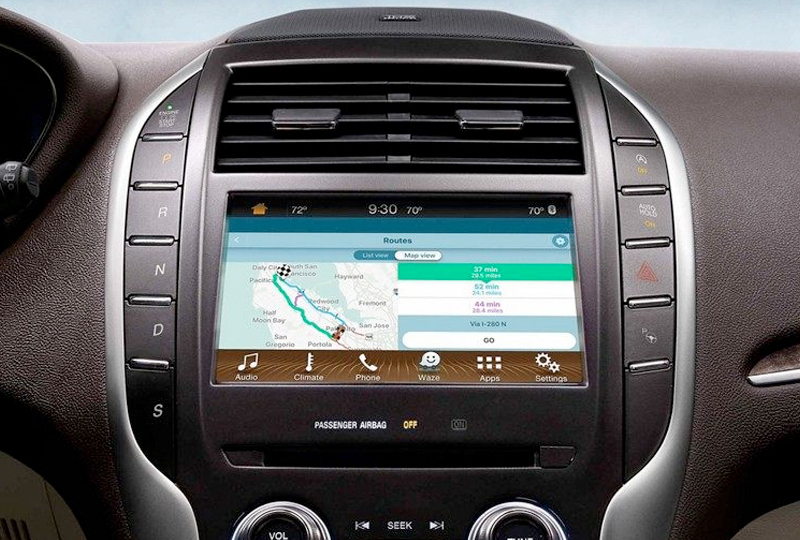 NAVIGATE THE ROAD WITH EASE. LINCOLN+ALEXA, A MATCH MADE IN TECH HEAVEN. 12. 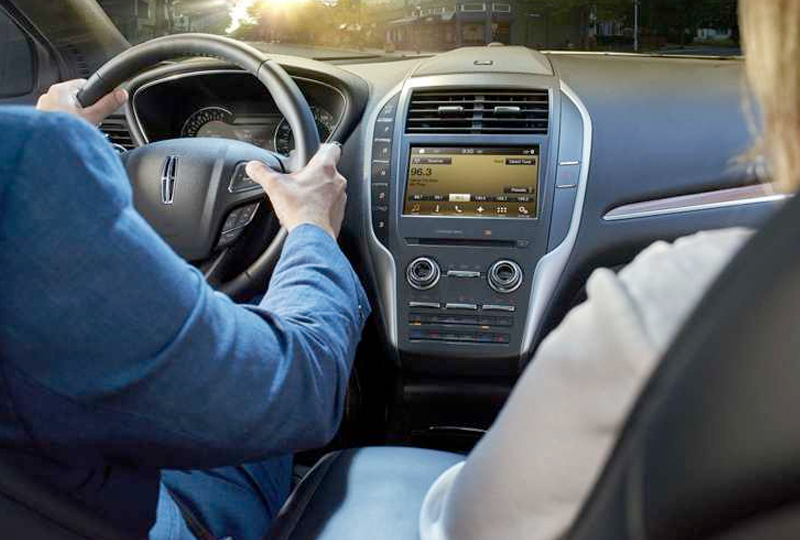 SYNC is available on Lincoln vehicles. Features/functionality vary by vehicle/model. Driving while distracted can result in loss of vehicle control. Only use SYNC/MyLincolnTouch/other devices, even with voice commands, when it is safe to do so. Some features may be blocked out while vehicle is in gear. Traffic alerts and turn-by-turn directions available in select markets. Message and data rates may apply. Not all features are compatible with all phones. 25. 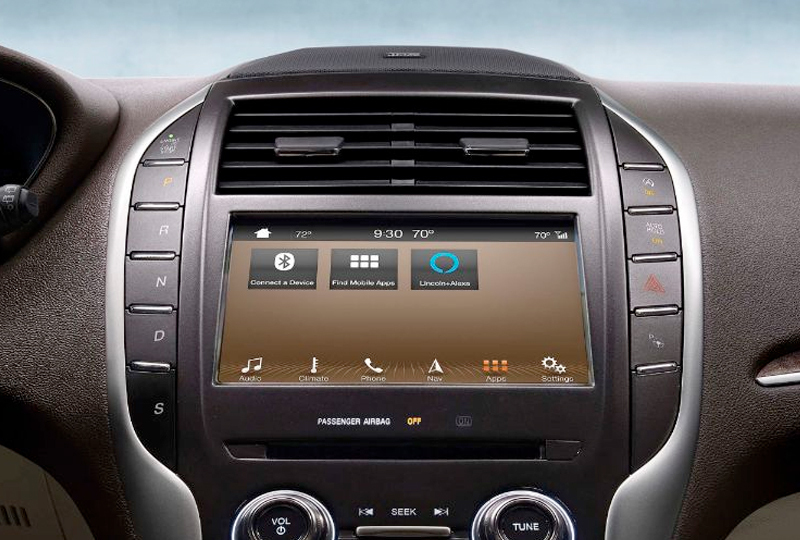 You must have Bluetooth® -enabled phone paired to you SYNC system. The Bluetooth word mark is a trademark of Bluetooth SIG, INc. HD Radio is a proprietary trademark of iBiquity Digital Corp. iPhone®, iPad®, iPod® and iTunes® are registered trademarks of Apple Inc. The terms Wi-Fi® is a registered trademark of the Wi-Fi Alliance®. 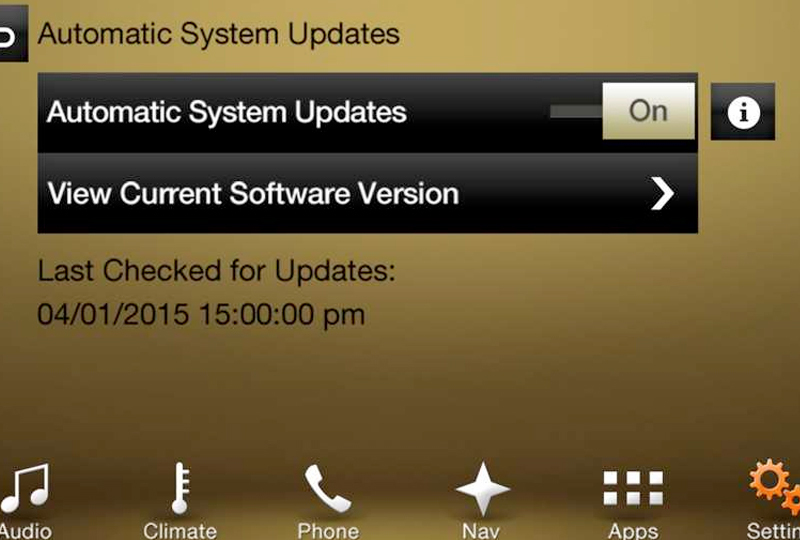 Optional Navigation System map updates cannot be received via Wi-Fi and require a separate update. Sony is a registered trademark of the Sony Corporation. *Commands may vary by phone and AppLink software. Don't drive while distracted. Use voice-operated systems when possible; don't use handheld devices while driving. Some features may be locked out while the vehicle is in gear. Not all features are compatible with all phones. Message and data rates may apply. iPhone is a trademark of Apple, Inc. registered in the U.S. and other countries. Android Auto is a trademark of Google Inc.
**Requires available SYNC 3 AppLink version 2.2 or higher. Don't drive while distracted or while using handheld devices. Use voice controls. Certain Alexa functionality is dependent on smart home technology.